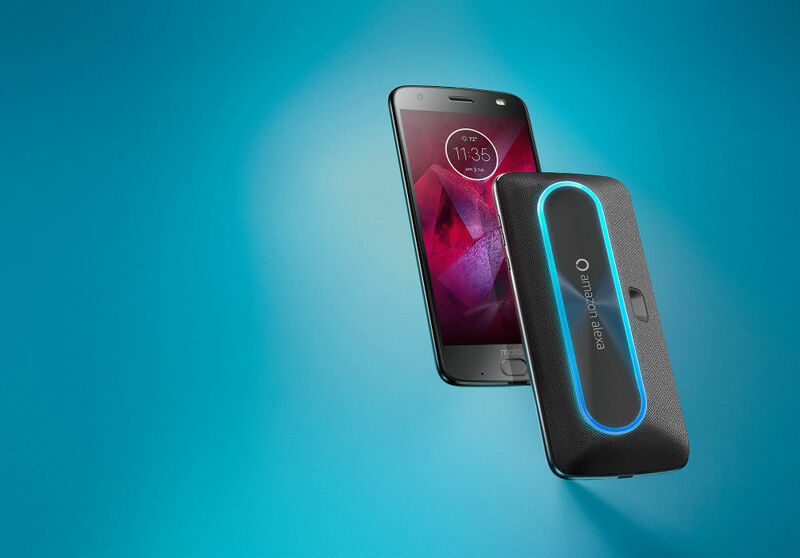 Motorola is currently offering buyers of a Moto Z2 Force a free Smart Speaker Moto Mod with Amazon Alexa. Not only will you get the free Moto Mod, which currently has a retail value of $149, but Motorola is also offering a free 2-month Amazon Music Unlimited Family Plan subscription. Not bad, not bad. From what we can tell, regardless of where you buy the Moto Z2 Force, whether it be from AT&T, Best Buy, or basically any carrier/retailer where it’s available, all you’ll need to claim the free Moto Mod is a valid IMEI and a date of purchase. So long as you purchase the phone between January 21, 2018 and February 25, 2018, you’ll get your gift. Click the link below to find the best retailer to purchase your device, then use the other link to claim the gift once you have your new phone’s IMEI.